The Big Room at Carlsbad Caverns is the largest natural cave in the world. The Doll's Theater in the Big Room. The Temple of the Sun in the Big Room. The Christmas Tree formation in the Slaughter Canyon Cave at Carlsbad Caverns. The entrance/exit to the Slaughter Canyon Cave at Carlsbad Caverns. Lechuguilla Cave at Carlsbad Caverns is the nation's deepest limestone cave at 1,567 feet as well as the fourth longest. Carlsbad Caverns became a National Monument on October 23, 1923; a National Park on May 14, 1930; and a World Heritage Site on December 6, 1995. Address: Carlsbad Caverns National Park, 3225 National Parks Highway, Carlsbad, New Mexico 88220; 505-785-2232 (visitor information); 505-885-8884 (park headquarters); Fax: 505-785-2302. Web: http://www.nps.gov/cave. In 1907, inspired by her husband, composer Edward MacDowell, Marian Nevins MacDowell officially founded the MacDowell Colony in Peterborough, New Hampshire. It is the oldest and largest artists' colony in the U.S. In 1908, Monsignor Pierre Hevey, pastor of St. Mary's church in Manchester, New Hampshire, organized the first credit union in the U.S. to help mill workers save and borrow money. In 1911, Ernest Harold Baynes founded the Meriden Bird Club in Meriden, New Hampshire, the first bird club in America. In 1914, Amoskeag Mills of Manchester, New Hampshire manufactured a United States flag that measured 95 feet long by 50 feet high, the largest American flag ever made. At its peak, the Amoskeag Mills was the largest textile mill under one roof in the world. The first intercollegiate ski meet (1914), the first American slalom race (1925), and the first American downhill race (1926), were all held at Dartmouth College in Hanover, New Hampshire. In 1890, Fresh Pond Ice Company in Brookline, New Hampshire consisted of 9 icehouses under one roof that had the combined capacity of storing 60,000 tons of ice. At the time, it was the largest ice house in the world. Since 1892, the Motor Vessel Sophie C carries on the tradition of the oldest and only floating post office on an inland waterway in the U.S. This boat serves Lake Winnipesaukee's 274 habitable islands every summer. Mount Washington Cruises, P O Box 5367, Weirs Beach, New Hampshire 03247; 603-366-5531; 888-843-6686. Web: http://www.cruisenh.com. On February 6, 1901, a group of nine conservationists, including governor Frank West Rollins, founded the Society for the Protection of New Hampshire Forests, the first forest conservation advocacy group in the U.S. Since 1904, America's oldest motorsport event, the Climb to the Clouds, takes place as cars race to the top of Mount Washington in New Hampshire. The fastest times so far are around seven minutes. Mt. Washington Hillclimb, Mt. Washington Auto Road, P O Box 278, Gorham NH 03581; 603-466-3988. Web: http://www.climbtotheclouds.com. In 1876, Edward C. Pickering and friends founded the Appalachian Mountain Club in Cambridge, Massachusetts, to conserve and hike the White Mountains of New Hampshire. AMC is the oldest continuous conservation and mountaineering club in America. From 1886 to 1897, 300 men quarried and split 350,000 cubic feet of New Hampshire granite to build the Library of Congress, in Washington, D.C., the largest building in the world at the time. Since 1887, Globe Firefighting Suits of Pittsfield, New Hampshire, is the oldest and largest manufacturer of firefighting suits in the world. Globe Manufacturing Company, 37 Loudon Road, Pittsfield, New Hampshire 03263; 603-435-8323; Fax: 603-435-6388. Email: globesales@globefiresuits.com. Web: http://www.globefiresuits.com. In 1888, Austin Corbin II of Newport, New Hampshire, bought 25,000 acres near Croydon Mountain to establish the largest wild game preserve in America. Founded in 1888, the Brown Paper Company of Berlin, New Hampshire, pioneered the concept of sustained yield in forestry management, and in 1900 developed one of the first corporate research facilities in the United States. At their pulp and paper training and development center shown above, they developed Kodak paper, Bermico pipe, cellophane, mustard gas, Kream Krisp (shortening), and Nibroc towels. 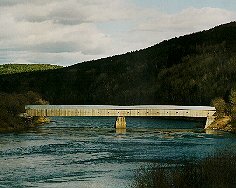 Built in 1866, the Cornish-Windsor Bridge, a double-span 449.5-foot covered bridge connecting Cornish, New Hampshire, and Windsor, Vermont, is the longest wooden covered bridge in the U.S. and the longest two-span covered bridge in the world. Location: West of N.H. Route 12A, five miles south of Plainfield Village on Cornish Toll Bridge Road. Web: http://www.nh.gov/nhdhr/bridges/p39.html. On August 29, 1866, Sylvester Marsh demonstrated the world's first mountain-climbing cog railway with his steam engine Peppersass, which pushed a flat car over the first 1/4 mile of track up Mt. Washington. On July 3, 1869, Old Peppersass reached the top of Mt. Washington for the first time. Mt. Washington Cog Railway, Base Road, Mount Washington, New Hampshire 03589; 603-278-5404; 800-922-8825; Fax: 603-278-5830. Web: http://www.thecog.com. In 1872, a group of Scandinavians from Berlin, New Hampshire, formed the Nansen Ski Club, the oldest ski club in the U.S. Berlin is known as the Cradle of Nordic Skiing in America. On June 20, 1873, in the Grand Opening Regatta for the opening of the Oceanic Hotel, 50 yachts sailed a race from the Isles of Shoals to Boon Island and back, a race won by General Butler and his yacht America. Thus began the America's Cup races. The first transAtlantic telecommunications cable between Europe and America stretched 3,100 nautical miles from Balinskelligs Bay, Ireland, to Straw's Point, Rye Beach, New Hampshire, completed June 27, 1874. In 1837, the Enfield Shakers built the Great Stone Dwelling. Made entirely of New Hampshire granite, the communal dwelling is 62 feet high with 860 built-in drawers and is the largest Shaker dwelling ever constructed. In 1845, the shop of Nashua machinist John H. Gage, housed in Nashua Manufacturing Company, was considered the first shop devoted to the manufacture of machinists' tools. On October 12, 1853, Amos Tuck called a meeting in Exeter, New Hampshire, of four political parties opposed to the Democratic Party and proposed the name Republican. It was the first meeting of the Republican Party. Opened in 1861, the Mt. Washington Auto Road is America's oldest manmade tourist attraction. Gorham, New Hampshire 03581; 603-466-3988. In 1863, President Lincoln established the first national Thanksgiving Day, inspired by letters from Sarah Josepha Hale of Newport, New Hampshire. In 1827, Lewis Downing and J. Stephens Abbot built the first Concord Coach in Concord, New Hampshire, celebrated world-wide for its leather belt suspension. In 1828, women mill workers at the Cocheco Mills in Dover, New Hampshire, went on strike to protest new mill regulations, in what became known as the Factory Girls Strike. It was the first women's strike in the U.S. 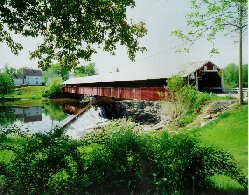 Built in 1829, the 278-foot-long Haverhill-Bath Covered Bridge in Woodsville, New Hampshire is thought to be the oldest covered bridge still standing in the United States. Location: Quarter mile north of U.S. Route 302 in Woodsville Village on N.H. Route 135 over the Ammonoosuc River. As editor of Ladies Magazine (1828-36) and Godey's Lady's Book <1837-77), Sarah Josepha Hale of Newport, New Hampshire, elevated the status of women and the importance of American literature. She was the first women's magazine editor in America. The Peterborough Town Library, established in 1833, was the first library supported by public taxation. Peterborough Library, Peterborough Chamber of Commerce, P O Box 401, Peterborough, New Hampshire 03458; 603-924-7234; Fax: 603-924-7235. Web: http://www.peterboroughchamber.com. Ruggles Mine, Route 4, Grafton NH 03240; 603-523-4275. Web: http://www.rugglesmine.com. The 400 members of the New Hampshire House of Representatives still meet in their original chambers at the New Hampshire State House, built in 1816 in Concord, New Hampshire. It is the largest state legislature in the U.S. and meets in the oldest representative's hall in the U.S. The Dublin Juvenile Library, established in 1822, was the first free public library. Built in 1823, the Belknap Mill is the oldest unaltered brick textile mill in the U.S. as well as the only industrial knitting museum in the U.s. It is the Official Meetinghouse of New Hampshire. Belknap Mill Society, The Mill Plaza, 25 Beacon Street, Laconia, New Hampshire 03246; 603-524-8813. Web: http://www.belknapmill.org. In 1775, the Old Meeting House, one of the finest examples of original colonial architecture in the United States, was completed in Danville, New Hampshire. It is the oldest unrestored meeting house in the U.S.
Town of Danville, P O Box 11, Danville, New Hampshire; 603-382- 8253; Fax: 603-382-3363. Web: http://www.townofdanville.org. On January 5, 1776, the Provincial Congress of New Hampshire ratified the first-in-the-nation state constitution in Exeter, New Hampshire. In 1778, New Hampshire was the first state to hold a constitutional convention. In 1783, New Hampshire became the first state to require that its constitution be referred to the people for approval. Purchased from William and Sarah Dennett on June 12, 1800, Fernald's Island in the Piscatagua River became the first government-sanctioned U.S. Navy shipyard in the United States. In 1690, the British Government contracted local ship builders in Portsmouth, New Hampshire, to construct the HMS Falkland, a 637-ton, 54-gun frigate, which was added to the Royal Navy, March 2, 1695. It was the first warship build in America. In 1719, the first potato was planted in the U.S. at Londonderry Common Field in Derry, New Hampshire. In 1768, governor John Wentworth built an estate in Wolfeboro, New Hampshire that became the oldest summer resort in America. Wolfeboro Chamber of Commerce, 32 Central Avenue, P O Box 547, Wolfeboro, New Hampshire 03894; 603-569-2200; 800-516-5324; Fax: 603-569-2275. Web: http://www.wolfeboroonline.com/chamber. In 1774, New Hampshire became the first state to declare itself independent from England. On December 14, 1774, a band of patriots took over Fort William & Mary (now known as Fort Constitution) and took guns and gunpowder. It was the first aggressive act of the American Revolution. Over 4,000 years old, America's Stonehenge is the oldest megalithic or stone-constructed site in North America. Like Stonehenge in England, America's Stonehenge was built by ancient people well versed in astronomy and stone construction. An accurate astronomical calendar, it was, and still can be, used to determine specific solar and lunar events of the year. America's Stonehenge, Mystery Hill, Haverhill Road, P O Box 84, North Salem, New Hampshire 03073; 603-893-8300. Email: info@stonehengeusa.com. Web: http://www.stonehengeusa.com. Alaska is the largest state in the United States. Alaska’s coastline, 6,640 miles, is longer than all the other states’ coastlines combined. Mount McKinley is the highest mountain in North America. Alaska has over 3,000,000 lakes! Yes, that's 3 million lakes! More bald eagles gather along the Chilkat River than at any other place in the world. Juneau is the sole capital city in the U.S. accessible only by boat or plane. It is also the largest U.S. city in total area, covering 3,108 square miles. Address: Alaska Division of Tourism, Alaska Travel Industry Association, 2600 Cordova Street #201, Anchorage AK 99503. Web: http://www.travelalaska.com. Kool-Aid was invented in Hastings in 1927. Nebraska is the birthplace of the Reuben sandwich, chicken pot pie, TV dinners, McDonald's McRibs, and the world's largest hamburger. Nebraska is the nation's chief beef producer and the largest processor of chicken eggs. Nebraska is both the largest producer and user of center pivot irrigation. Nebraska was the first state to begin foreign market development of wheat in Europe and South America (1957). Nebraska is the only state with a non-partisan unicameral, a one-house legislature. The world's most famous tractor testing laboratory is at the University of Nebraska College of Agriculture. The Union Pacific's Bailey Yard at North Platte is the country's largest railroad classification yard. The world's largest elephant fossil was found in south central Nebraska. The greatest concentration of sandhill cranes occurs each spring when a half-million birds from several southern states gather for six weeks in a 40 mile stretch of the Platte River before fanning out across Canada. American Legion Post No. 3 in Lincoln is the world's largest American Legion post. The 911 emergency system originated in Lincoln, Nebraska. The largest gathering ever of Native Americans (more than 100,000) was in 1851 at Horse Creek near Morrill. Nebraska was the first state to complete its segment of the interstate highway system (I-80), which covers 455 miles in the state. The first Forest Service nursery in the nation was planted at Halsey in the world's largest hand-planted forest (1 million trees). The strobe light was invented by Dr. Harold Edgerton from Nebraska. Whittier Jr. High in Lincoln was the first junior high school in the nation. The vice-grip was invented in DeWitt, Nebraska. Research and development of air ambulance service first began in Nebraska. The Henry Doorly Zoo in Omaha has the world’s largest indoor rain forest, swamp, desert and aquarium. The nation's first authorized off-premise banking, with teller machines at grocery store courtesy counters, was developed in Lincoln. The nation’s first Native American woman doctor was Susanne LeFlesche Picotte (Omaha Tribe). Address: Nebraska Division of Tourism, P O Box 98907; Lincoln, Nebraska 68509-8907; 877-NEBRASKA. Web: http://www.visitnebraska.org. The South Dakota Hall of Fame is not just for the rich and famous. Recognition in this state is achieved through character, not through wealth. Inductees include TV host Mary Hart, Senator George McGovern, photographer Terry Redlin, farmer Jim Woster, author L. Frank Baum, and several hundred others from all walks of life. Address: South Dakota Hall of Fame, 1480 S. Main Street, Chamberlain, South Dakota 57325; 605-734-4216; 800-697-3130. Email: info@sdhalloffame.com. Web: http://www.sdhalloffame.com. Seaford, Delaware, the Nylon Capital of the World, was the site of DuPont's first nylon manufacturing plant, established in 1939. It is still in operation today as Invista. Address: The City of Seaford, 414 High Street, Seaford, Delaware 19973; 302-629-9173. Web: http://www.seafordde.com. The city of Philadelphia, Pennsylvania has been the setting for a number of TV shows, including recent hits, American Dreams and Cold Case. Address: Philadelphia Visitors Bureau, 1700 Market Street #3000, Philadelphia, Pennsylvania 19103; 215-636-3300; 800-537-7676; Fax: 215-636-3327. Web: http://www.pcvb.org. Because the Salinas Valley in California produces so many vital vegetable crops including celery, head lettuce, and broccoli, the city of Salinas bills itself as the Salad Bowl of the World. The valley supports a $3 billion agricultural industry. 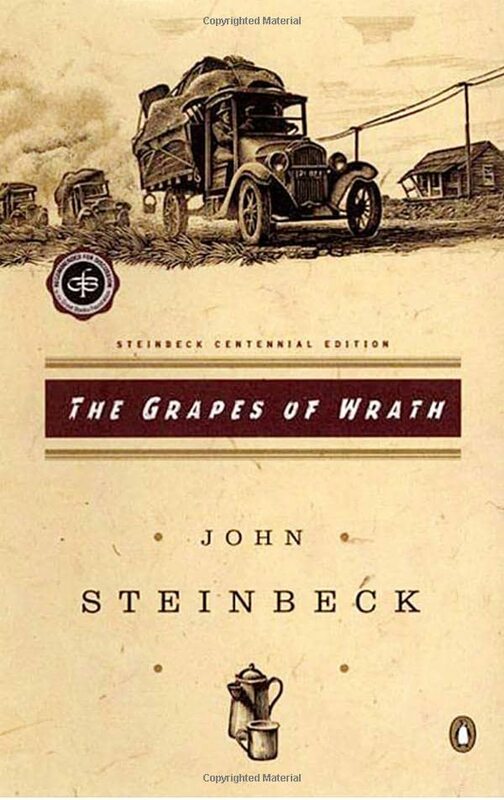 Salinas was also the setting for John Steinbeck's classic novel, The Grapes of Wrath, about the 1930s dustbowl years. 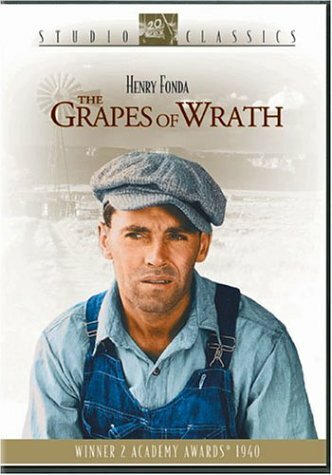 The novel was later made into a movie starring Henry Fonda. A Nobel Prize-winning novelist, Steinbeck's boyhood home was in Salinas. In a personal letter he once wrote, "I think I would like to write the story of this whole valley, of all the little towns and all the farms and the ranches in the wider hills. I can see how I would like to do it so that it would be the valley of the world." Address: Salinas Valley Chamber of Commerce, 119 E Alisal Street, Salinas, California 93901; 831-424-7611; Fax: 831-424-8639. Email: info@salinaschamber.com. Web: http://www.salinaschamber.com. Founded on December 13, 1827, by John and Peter Delmonico, Delmonico's restaurant in New York City was the first restaurant or public dining room in America. Note: The first shop they opened was a café and pastry shop with the official restaurant opening next door in 1830. Address: Delmonico's Restaurant, 56 Beaver Street, New York, New York 10004; 212-509-1144; Fax: 212-509-3130. Web: http://www.delmonicosny.com. The new CBS TV crima drama Close to Home, starring actress Jennifer Finnigan, is set in Indianapolis, Indiana. Aerial views of downtown Indianapolis, Indiana are shown often, especially during returns from commercials. Address: Indianapolis Visitors Association, One RCA Dome #100, Indianapolis, Indiana 46225-1000; 317-639-4282; 800-642-4639; Fax: 317-684-2590. Email: icva@indianapolis.org. Web: http://www.indy.org. Wow, I just got a chance to review a new book from National Geographic. You have to see Wide Angle: National Geographic Greatest Places. Check it out at Amazon.com or your favorite bookstore. It features great photos of China, Tahiti, Israel, India, Denmark, Romania, Botswana, Spain, Egypt, Arizona, Cuba, Nanavut, etc. Address: National Geographic Society, 1145 17th Street N.W., Washington, D.C. 20036-4688; 202-857-7000; 800-647-5463; Fax: 202-828-6679. Web: http://www.nationalgeographic.com. Vision Quest, the 1985 movie starring Matthew Modine and Linda Fiorentino, was set in Spokane, Washington. Madonna made her first film appearance in this movie as a singer in a bar. Address: Spokane Visitors Bureau, 801 W. Riverside #301 Spokane, Washington 99201; 509-624-1341; Fax: 509-623-1297. Web: http://www.visitspokane.com. Films: http://www.filmspokaneregion.com. ** The first Iowa State Fair was held in Fairfield, Iowa from October 25 to 27, 1854. Fairfield also hosted the second Iowa State Fair in 1855. ** Fairfield also established the first country club and private golf course west of the Mississippi River in 1892. Address: Fairfield Golf & Country Club, 905 E. Harrison Avenue, P.O. Box 549, Fairfield, Iowa 52556; 641-472-4212; Fax: 641-472-6792. Email: countryclub@lisco.com. ** Fairfield was the first town in America to establish a municipal electric utility. In 1882, Fairfield operated an electric power plant that lit 13 streetlights and six Brush arc lamps which lit up the square from a tower in Central Park (see postcard above). I once lived in an apartment in the retail building with the turret in the center of the postcard. ** Fairfield has the first Carnegie Library built in a town where Andrew Carnegie had no business connections or investments. The library was established in 1893. ** The first monorail conveyer system was built in Fairfield in 1919 for the Louden Manufacturing Company. Louden overhead conveyor systems and crane equipment have been installed in factories throughout the world. ** William Louden of Louden Machinery Works in Fairfield invented a number of barn improvements, including the first flexible sliding barn door hanger, the first litter carrier, the first practical all-steel cow stall, the first automatic drinking bowl for cows, the first practical manure spreader, and the first free barn planning service (1907). On September 24, 1867 William Louden received his first patent for a device which helped farmers stack hay efficiently. The Louden Machinery Company continued to develop and manufacture a variety of hay tools that allowed a farmer to easily and efficiently move and store hay. ** In 2003 the National Council of Small Communities named Fairfield the top entrepreneurial small city in America by awarding the inaugural Grass Root Entrepreneurship Award. Address: Fairfield Area Chamber of Commerce, 204 West Broadway, Fairfield, Iowa 52556; 641-472-2111; Fax: 641-472-6510. Email: chamber@fairfieldiowa.com. Web: http://www.fairfieldiowa.com. 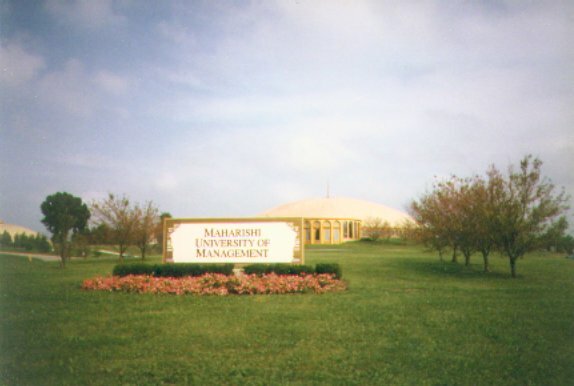 Fairfield is also home to Maharishi University of Management, the home of the Golden Domes for TM Siddhi flyers.